Search below for books. Books and kindle versions are all available on Amazon. We hope you enjoy the adventure! Join adventurer and renowned photographer, Ryan Pyle, as he spends months exploring and photographing Western China's remote Sacred Mountains in an effort to better understand these most sacred Tibetan regions. Join adventurer and renowned photographer, Ryan Pyle, as he spends months exploring and photographing Western China’s remote Sacred Mountains in an effort to better understand these most sacred Tibetan regions. His human-powered adventure is “one of the ages” as he explores the remote provinces of Qinghai, Tibet, Sichuan and Yunnan. Also available by Ryan Pyle: Tough Rides: Brazil, The India Ride and The Middle Kingdom Ride – the extraordinary motorcycle adventures from Brazil, China and India; as well as his photography book Chinese Turkestan. Sparsely populated and spanning over 1.6 million square kilometres of desert, river basins, mountains, and grasslands, the Xinjiang Uyghur Autonomous Region has had a turbulent history. Many of the events that have occurred there during the last 2500 years. Ryan Pyle has been visiting Chinas western Xinjiang province regularly since 2001. But it wasn't until a recent trip in 2006 that he decided to begin to focus his camera on this mysterious and remote part of the world. During his time in the region he has documented places like: Kashgar, Aksu, Kuche, Hotan, Khotan, Urumqi, Turpan and all the remote and stunning places in-between. Formerly known as Chinese Turkestan, this vast expanse of deserts and mountains has seemingly always been at a crossroads between cultures and time. For centuries criminals, holy men, and traders tramped across the region; and it was out of this tradition that the Silk Road was established. Surrounded on three sides by some of the highest mountain ranges in the world, with the Gobi desert blocking the forth, Chinese Turkestan is one of the most isolated places on earth. Join adventurer motorcyclist Ryan Pyle as he spends months exploring the most exciting and remote locations in Brazil. In his book Tough Rides: Brazil he takes us on the most incredible journey in an effort to better understand the stunning and complex country of Brazil. Ryan Pyle is back on his motorcycle. After successful adventure motorcycle journeys through China (Season #1) and India (Season #2), Ryan is keen to set out and explore the complexities and diversity of Brazil. This incredible journey will take Ryan from the sunny beaches of Rio de Janeiro, through the mining towns in Minas Gerais, into the deep Amazon and back through the southern metropolises of Florianopolis, Blumenau and Sao Paulo. Ryan Pyle will travel around a country full of contrasts, one-minute Brazil is vibrant and exotic, and the next minute it is crowded and chaotic and then all of a sudden it can feel haunting and empty. Ryan’s biggest challenge on this adventure will be taking on some of South America’s most dangerous and isolated roads. Join Ryan, as he rides his motorcycle on an epic 14,000km, 60-day circumnavigation around Brazil. The India Ride takes the biker brothers from the crowded capital city of New Delhi to the isolated northern Himalayan regions, back down to the rain forests of the southeast and up the tiger infested jungles of Bengal. When Canadian brothers Colin and Ryan Pyle finished their record-breaking motorcycle adventure around China in 2010, they promised themselves that it would be their last such venture. Of course, they were wrong. Back in the saddle again, Colin and Ryan have set out to tackle the diverse country of India, and they had no idea what to expect! Whether it was monsoon rains, crashes in Mumbai, the claustrophobic roads of Kerla or even a brutal paragliding landing in Manali; nothing could stop these two adventurers as they triumphantly completed a 54 day - 14,000 km – motorcycle circumnavigation of India. In an Indian expedition of un-foreseen extremes, Colin and Ryan battled the Rohtang Pass in a rainstorm , made a pilgrimage to the most visited holy site on earth in Amritsar; they also jumped off a perfectly good mountain and learned how to make the perfect cup of Indian tea in Darjeeling. If that seems like a lot, all of this was done while traversing over isolated mountain passes, blazing a trail through the roasting hot deserts and battling the insane traffic of Mumbai, Delhi and Kolkata. 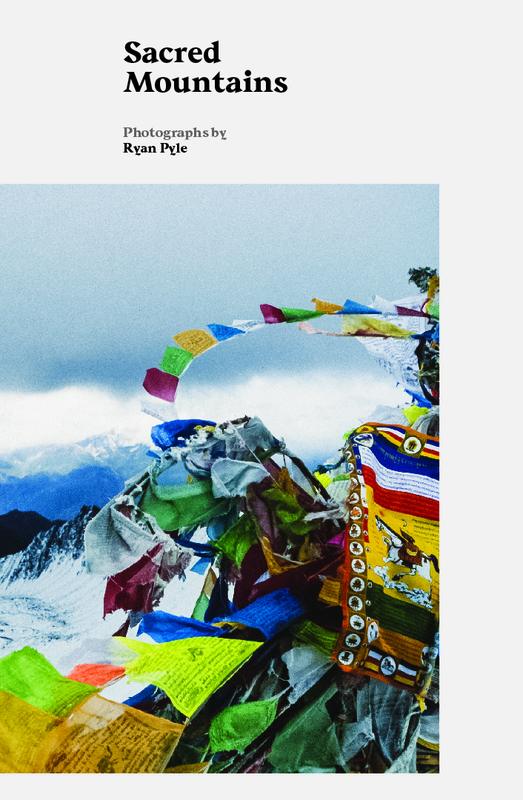 Also available by Ryan Pyle: The India Ride and The Middle Kingdom Ride – the extraordinary motorcycle adventures from China and India; as well as his photography book Chinese Turkestan. When Canadian brothers Colin and Ryan Pyle set out from Shanghai on a motorcycle journey that had never previously been attempted, they thought they had some idea of what lay ahead of them. It was a misconception that had become evident by the end of Day 1. But, despite the many challenges they faced, 65 days and 18,000 km later they’d succeeded in circumnavigating China.